“The Internet of Things will soon be the largest single source of data on the planet..."
IBM has announced the opening of its global headquarters for Watson Internet of Things (IoT) in Munich, Germany, launching a series of new offerings, capabilities and ecosystem partners designed to extend the power of cognitive computing. 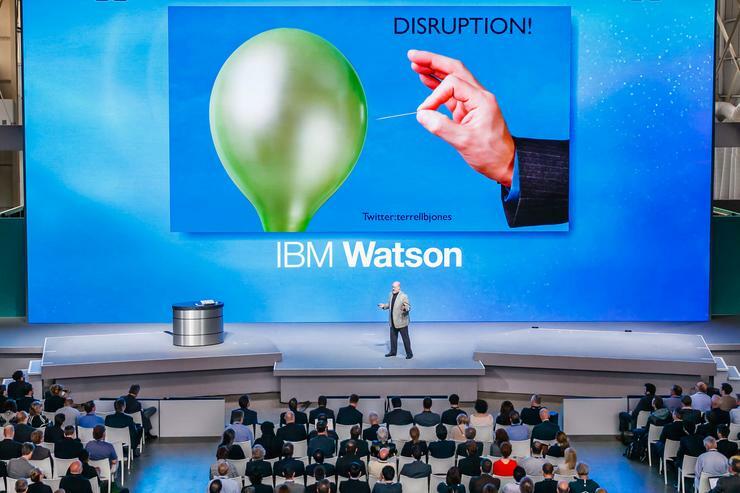 According to the tech giant, these new offerings will be available through the IBM Watson IoT Cloud, the company’s global platform for IoT business and developers. The campus environment will bring together 1,000 IBM developers, consultants, researchers and designers and will also serve as an innovation lab for data scientists, engineers and programmers. Representing IBM’s largest investment in Europe in more than two decades, the centre aims to drive collaborative innovation with clients, partners and IBM researchers and data scientists to create new opportunities for growth in IoT. “The Internet of Things will soon be the largest single source of data on the planet, yet almost 90 percent of that data is never acted upon,” says Harriet Green, general manager, Watson IoT and Education, IBM. Green says IBM also will deliver Watson APIs and services on the Watson IoT Cloud Platform to accelerate the development of cognitive IoT solutions and services. With these moves, clients, start-ups, academia and an ecosystem of IoT partners - from silicon and device manufacturers to industry-oriented solution providers - will have direct access to IBM’s open, cloud-based IoT platform to test, develop and create the next generation cognitive IoT apps, services and solutions. The company also announced that it has opened eight new Watson IoT Client Experience Centers across Asia, Europe and the Americas. Locations include Beijing, China; Boeblingen, Germany; Sao Paulo, Brazil; Seoul, Korea; Tokyo, Japan; and Massachusetts, North Carolina, and Texas in United States. “These centres provide clients and partners access to technology, tools and talent needed to develop and create new products and services using cognitive intelligence delivered through the Watson IoT Cloud Platform,” Green adds.